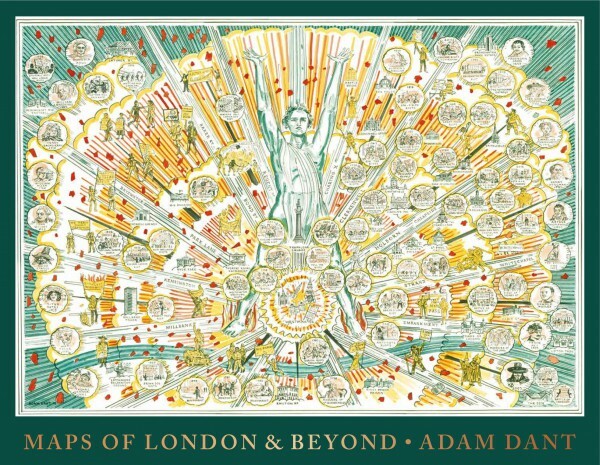 Each Saturday, we shall be featuring one of Adam Dant’s MAPS OF LONDON & BEYOND from the forthcoming book of his extraordinary cartography to be published by Spitalfields Life Books & Batsford on June 7th. 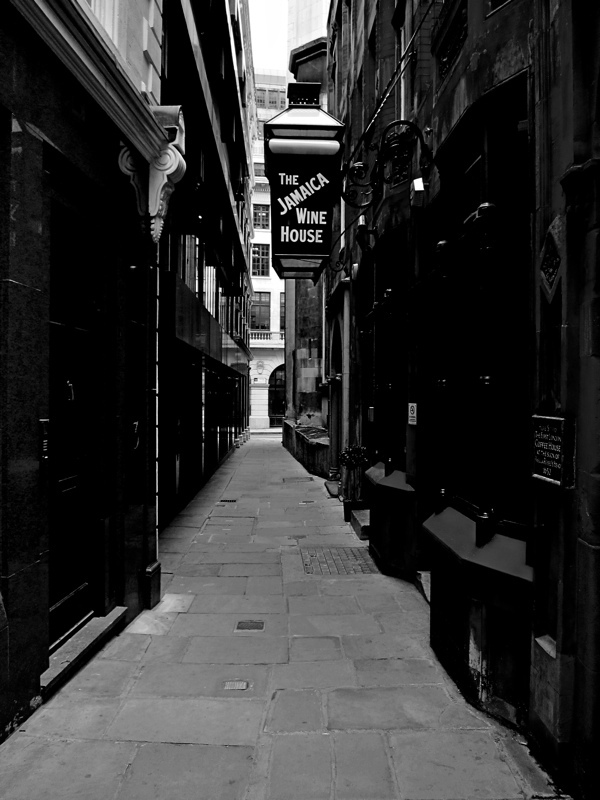 These days, London is riddled with Coffee Shops but, at the start, there was just the Jamaica Coffee House, which was opened in 1652 by Pasqua Rosee in St Michael’s Alley in the City of London. 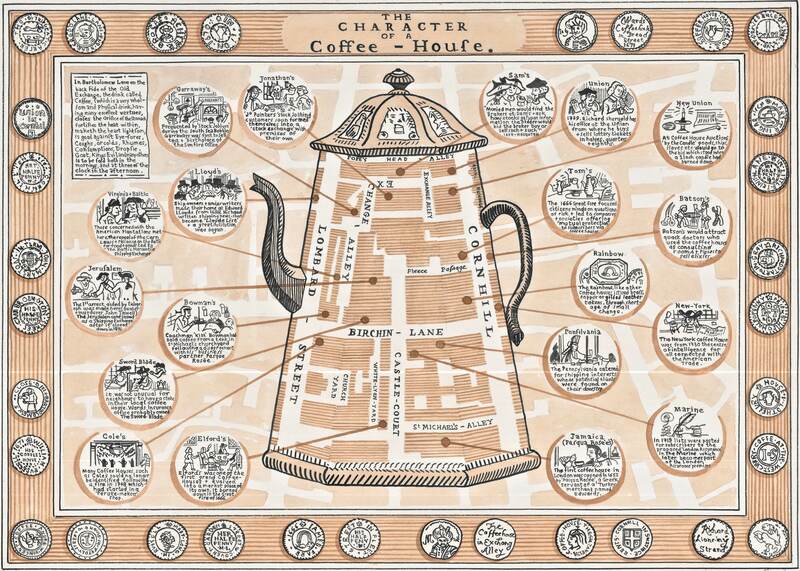 More than three hundred and fifty years later, it is still open and so I met Adam Dant there to learn about his new map – which you see above – drawn in the shape of a coffee pot. 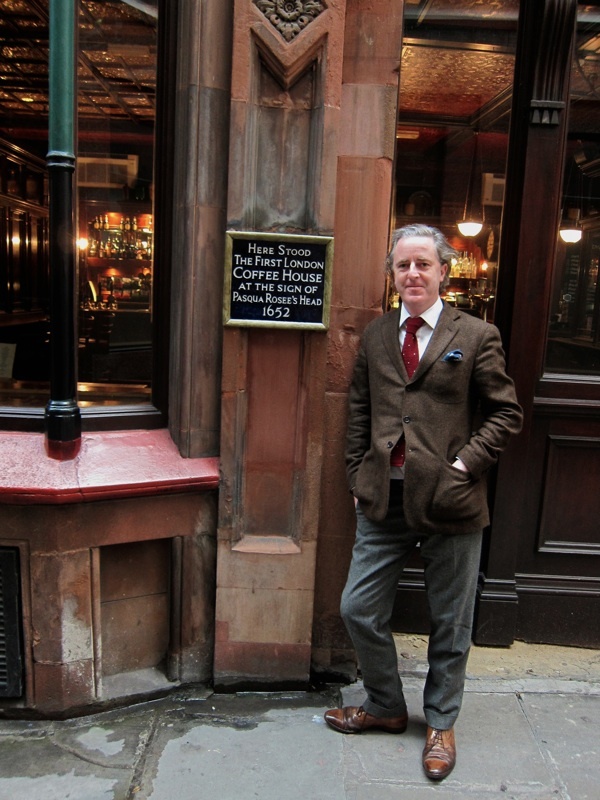 The first Coffee Houses became popular meeting places, facilitating introductions between those of similar interests, fostering deals, trading, and business enterprises. Lloyds of London began as a Coffee House, opened by Edward Lloyd in Lombard St around 1688, where the customers were sailors, merchants and shipowners who brokered insurance among themselves, leading to the creation of the insurance market. I like the coffee map !Adam your are such a talent. Us poets have been coupled with coffee houses from the year dot, we still meet in them a gathering of poets and the caffeine sends our words to new heights. Thanks Adam you have worked your magic again on the coffee map. John the Poetry Society, Bristol – PS perhaps a poets meeting places map including Will Shakespeare also so many top poets were here and still are in London. Many thanks for shining a light, GA.
GA, I do enjoy examining Adam Dent’s detailed maps of olde London. 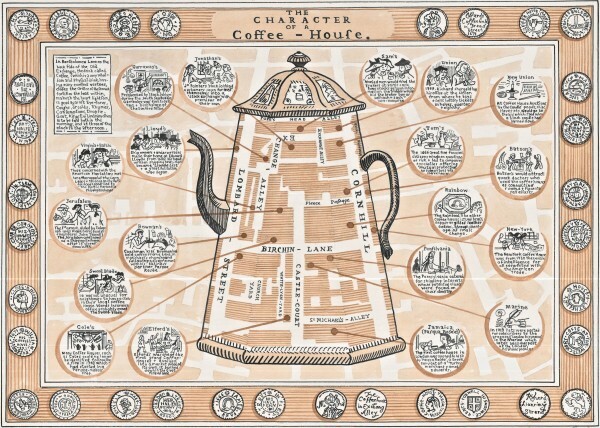 Interesting to see the “New York” coffee house described as the “center of intelligence for all connected with the American trade.” By 1750 New York was surpassing Boston and Salem in trans-Atlantic commerce.